Welcome to our range of Birds Pest Control Products and Supplies that can be seen below this short write up. If you prefer to order by telephone or need any advice, please give us a call on 03330 119703 UK. 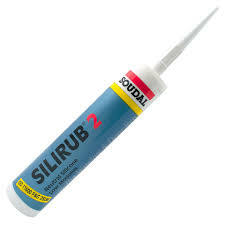 We supply the best and most effective DIY Bird control products available to buy online for delivery throughout the UK, France, Italy, Spain, other parts of Europe and the rest of the World. Pigeons, Seagulls, Crows, Magpies, Starlings and other types of birds can cause problems including noise, fouling and even damage to property when they are roosting, perching or nesting. 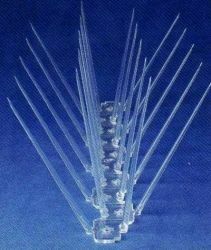 We supply complete Bird and Seagull Spikes, Roof Ridge Bird Spikes, Chimney Cowls and Bird Proof Plastic Cones to stop nuisance birds from landing, perching, nesting and roosting of your property. 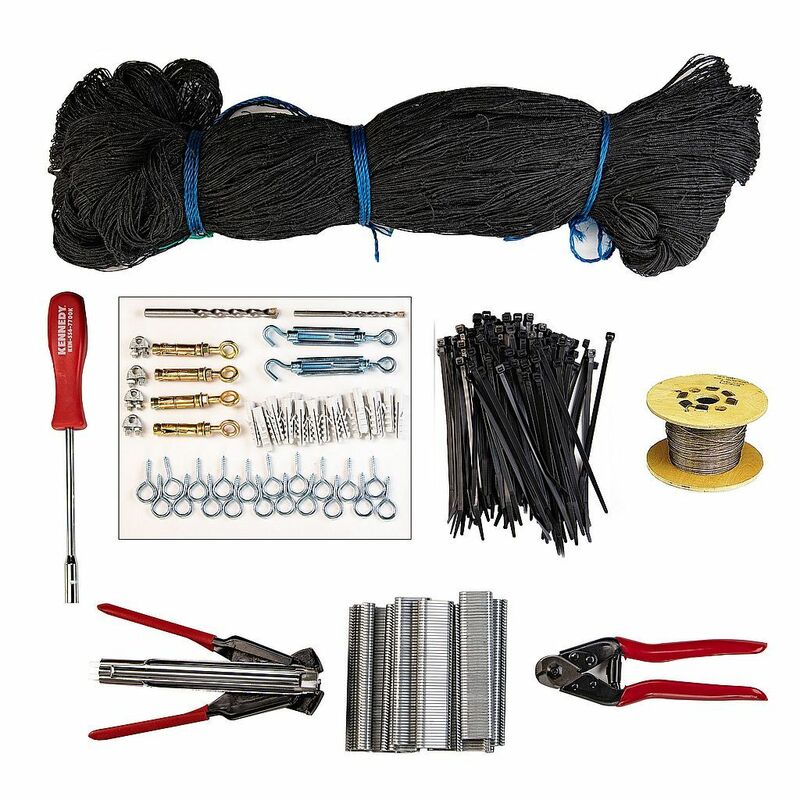 We stock DIY and professional standard Bird Proofing Netting Kits and Nets for proofing areas against pest birds and we have Electronic Audible and Inaudible Bir Repellers to scare of birds. We have a range of Fake Decoy Bird Repellers, Scare Eyes Balloon Bird Scarers, Daddy Long Legs Bird Spiders, a Water Jet Spray Repellent as well as Bird Repelling Gels that completes our selection of products for repelling and deterring nuisance birds. 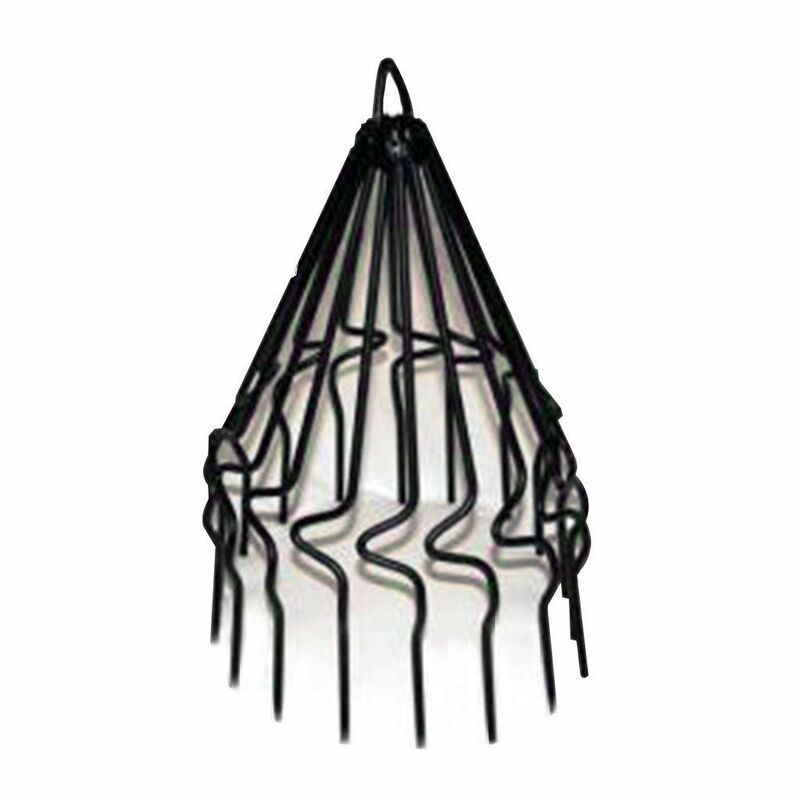 If you want to trap a Crow, Magpie or Rook, we stock a strong, galvanised steel Corvid Bird Trap also known as a Larsen Bird Trap. Our products have been chosen for being the best and most effective to eradicate nuisance birds. These pest control products will humanely repel, deter, stop and get rid of a problem with all types of birds in the garden, in public areas or on commercial properties. Seagull & Gull Proof Anti Perching Spikes Our Seagull and Gull Proof Anti Perching Spikes are made of stainless steel on a UV stabilized polycaronate base for long lasting life. Roof Ridge Bird Proof Spikes Ridge Roof Bird Proof Spikes will deter and repel pigeons, seagulls, starlings, sparrows and other birds that are causing you a problem. Bird Proof Anti-Perching Spikes Adhesive - 1 tube will stick 8 metres of our Pigeon, Bird and Seagull Proof Anti-Perching Spikes or our Bird Proof Roof Ridge Spikes. 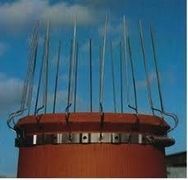 Bird Proof Anti-Perching Chimney Pot Spikes are guards used for stopping and preventing pigeons, seagulls, starlings and other birds from sitting on your chimney and making a mess with their guano. Bird Proof Chimney Guard This Bird Proof Chimney Guard is one of the most effective and adaptable Bird Proof Chimney Guards available. 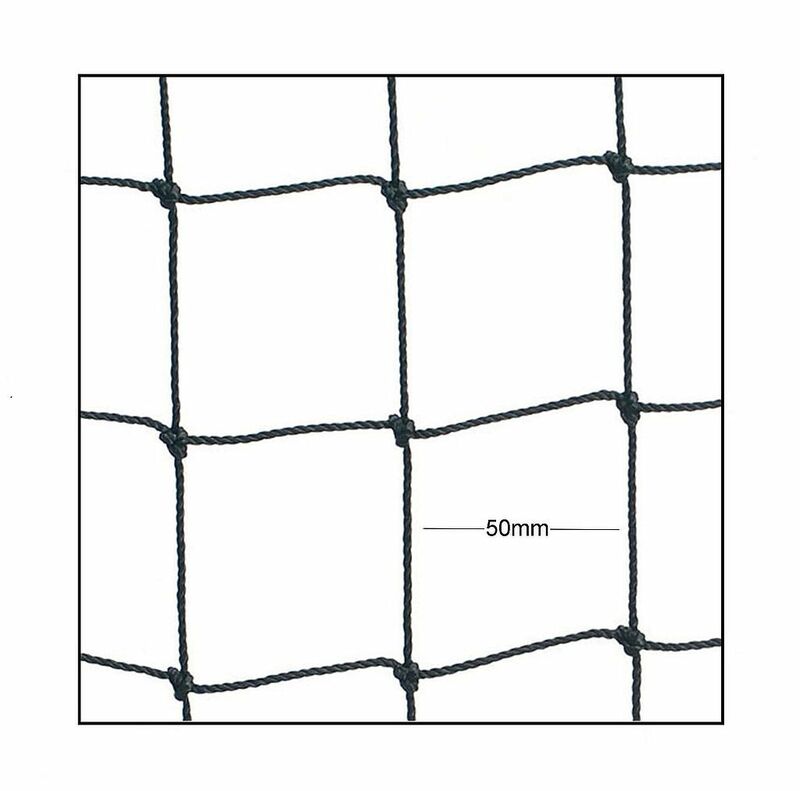 Bird Proofing Net for Pigeons and Seagulls - 50mm mesh 5m x 5m is suitable for use to prevent access by larger birds such as pigeons, seagulls and gulls landing on your ledges, gutters and other features. 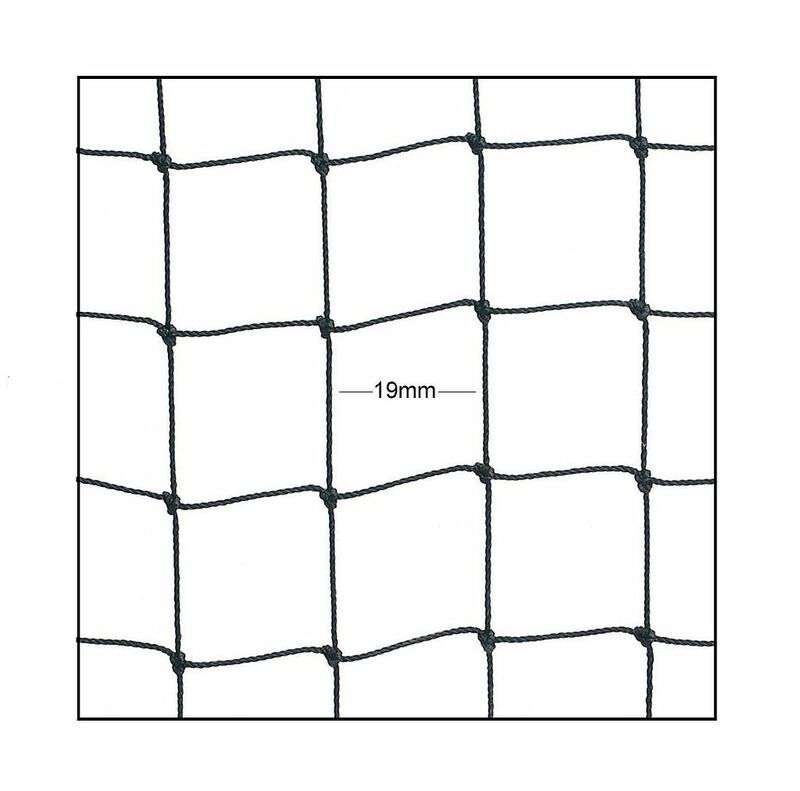 Bird Proofing Net for Small Birds - 19mm mesh - 5m x 5m is suitable for use to prevent access by smaller birds such as sparrows and starlings. Bird Proofing and Control Netting Kit 1 5m x 5m is our economy kit suitable to stop pigeons, seagulls and other larger birds from being a nuisance. Bird Proofing and Control Netting Kit 2 10m x 10 is our economy kit suitable to stop pigeons and seagulls from being a nuisance. Bird Proofing and Control Netting Kit 3 - 10m x 5m is a professional standard net system suitable to cover and protect an area of up to 10 metres x 5 metres against problem birds. 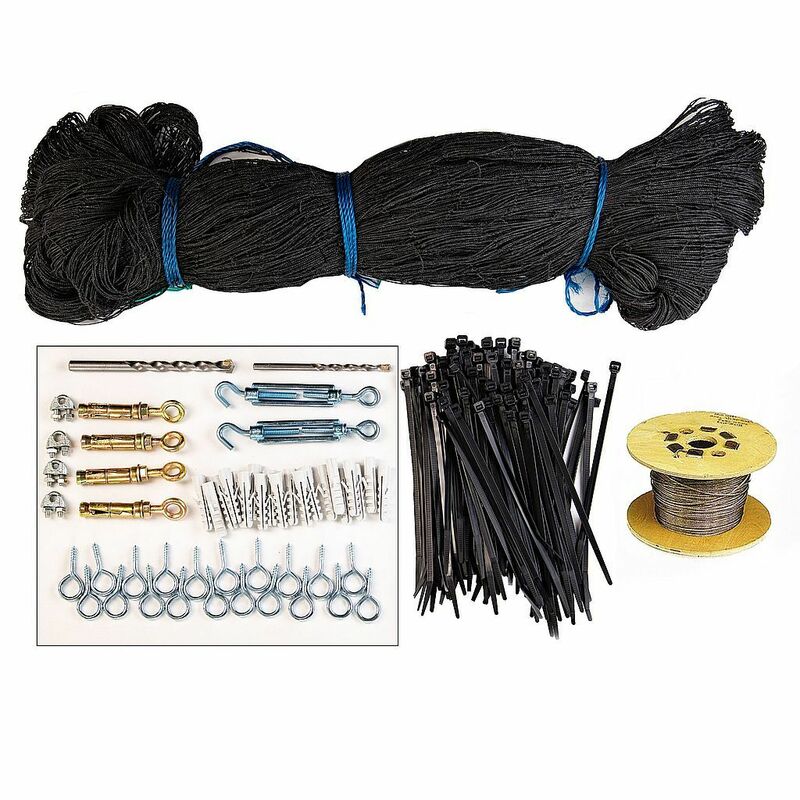 Bird Proofing and Control Netting Kit 4 - 10m x 10m is a professional standard net system suitable to cover and protect an area of up to 10 metres x 10 metres against nuisance birds. Sonic Sound Electronic Bird Repeller is an audible repellent and deterrent unit for domestic or commercial bird pest control. Scares off pigeons, seagulls, crows, magpies, starlings and other nuisance birds. Covers 10 metres / 30 feet in front of the unit, in an arc of 130 degrees. Ultrasonic Electronic Bird Repeller is an inaudible device for scaring away nuisance birds such as pigeons, seagulls, crows, magpies, starlings and other problem birds. Has a range of 15 metres all around the unit. Plugs into a UK 3 pin socket. Comes with a 10 metre extension cable. Solar Panel to Power the Ultrasonic Bird Repeller. 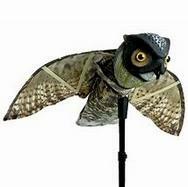 Owl Decoy Bird Repeller with Moving head is a life like, fake bird that will scare away and stop birds being a nuisance. Falcon Decoy Bird Repeller will repel and deter nuisance birds from areas outside in the garden or around your property. 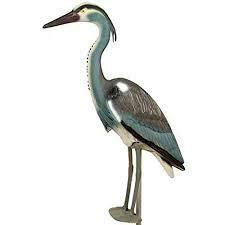 Heron Decoy Bird Repeller is a life like, plastic heron that will repel, deter, stop and get rid of nuisance herons and other birds from predating a pond, water feature or fisheries. Bird Repellent Prikka Cones x 1 metre is a bird deterrent and repellent method to stop pigeons, seagulls, starlings, sparrows or other feral birds from perching, roosting or nesting on fences or other narrow surfaces. Bird Repellent Prikka Cones x 5 metres is a bird deterrent and repellent method to stop pigeons, sea gulls, starlings, sparrows or other feral birds from perching, roosting or nesting on fences or other narrow ledges. 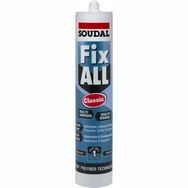 Fix All adhesive is suitable for fixing Prikka Strip Bird Repellent Cones onto windowsills, walls, fences etc., as well as for fixing our Fake Bird Decoys in place. Bird Free Fire Gel Birds Repellent is a visual effect gel that deters pigeons, starlings, seagulls etc by creating an optical illusion to the birds. The Gel is a yellow in colour but to the birds it appears to look like fire. Pigeon, Bird and Seagull Proof Gel is a transparent and non toxic product to stop pigeons, seagulls, starlings and sparrows etc., from landing and perching on your property. Flying Falcon Decoy Bird Repeller is designed to be hung from a building, on a balcony, in a tree or on a sailing boat etc., to mimic this natural predator of birds. Scare Eyes Balloon Bird Scarer will scare away birds that are being a nuisance. 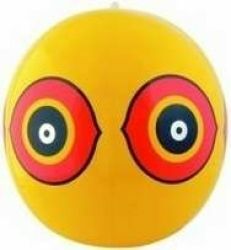 Terror Eyes Ballon Bird Scarer is a very effective method of scaring away nuisance birds. Bird Repeller Ribbon - 30 metres is an irridescent tape that reflects light and deters birds from the area where the ribbon is fitted. Bird Repellent Spider - 1.2m Diameter is ideal for use on lamposts, flat roofs, boats, outbuildings and sheds etc., to deter and stop birds landing and roosting. Bird Repellent Spider - 2.5m Diameter is ideal for use on lamp posts, boats, flat roofs, sheds etc., to stop birds landing and roosting. Water Jet Spray Bird Scarer gets rid of and controls nuisance birds by activating a spray of water that scares them away. Guanaway Bird Dropping / Poop Cleaner (750ml) is a ready to use spray product for cleaning away bird droppings from window ledges, balconies, fences and paths etc. Larsen Corvid Bird Cage Trap for humanely catching and trapping problem Corvid Birds such as crows, jackdaws, jays, magpies, ravens and rooks etc. Broadband Pro 1 Audible Sound Bird Scarer is an electronic bird repeller to deter a wide range of bird pests. Works by emitting bird warning and distress calls. 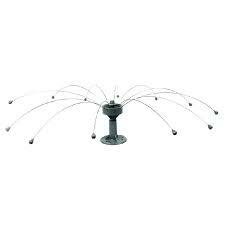 Scarecrow Bio Acoustic Bird Dispersal System is ideal for use in public parks, grounds of country homes that are used for corporate or private functions, public arena's, large sailing boats etc. 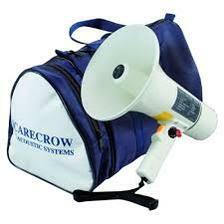 The Scarecrow Patrol 2 Bird Dispersal System is a lightweight, hand held megaphone with 9 inbuilt distress calls of pigeons, gulls and other birds. Scarecrow Goose Patrol Bird Dispersal System is a megaphone for use where there is a problem with Canada Geese. 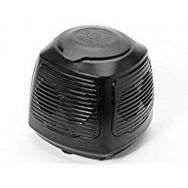 Broadband Pro 4 Audible Sound Bird Scarer is an ultra-sonic bird repeller with 4 speakers that will protect an area of up to 3600 square feet. 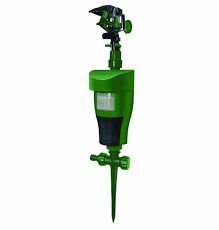 Scarecrow BIRD Dispersal System with 4 speakers is ideal for use in commercial or industrial areas.